A Journalist follows a Belizean Special Forces Unit into the jungle to cover an anti-drug expedition. In the midst of the misson they encounter an unseen force that is hunting them. Could they be Aliens, or an early form of humanity itself, under-evolved and evil? And how exactly is it that we’ve never encountered these creatures before if the area they’re operating in has seen heavy traffic from both the paramilitary and smugglers? Please don’t think about that last sentence too long… or brain fluid will start gushing from your tear ducts. I have no idea whether some of the soldiers are actually from Belize, but what is certain is that their accents are near incoherent. Additionally, it feels like the dialog was improvised on set, without sufficient time to make it seem natural. I wouldn’t be surprised if the production was so rushed as to not have a working script, with the filmmakers shooting random locations. The editing style feels only a little more coherent than dropping a film can and a sack of wet cement into a dishwasher. And the story was clearly doctored at the last second to add a few tacit connections to Prometheus in order to market the film. Which makes it all the more interesting that the plot bears more resemblance to Predator. This puts the film in the same tradition of the Asylum’s Transmorphers, which is really a rip off of the Terminator franchise (although if you want to be generous you could argue that Terminator Salvation ended up ripping off of Transmorphers… kind of). Come to think of it, Transmorphers is a hell of a lot more fun than Alien Origin… Check it out. While I credit the film for shooting in a nice location, I still take issue with the use of CGI effects. This is something I am more than forgiving of in their sillier releases (In that case the insanely bad CGI is often a positive boon). However, this movie feels intended to be legitimately scary, and inexpensive CGI effects are rarely real enough for me to suspend disbelief. It might have taken a little more time and money, but with a bit more effort the film might have stood a chance against B-Grade horror, instead of staying relegated to Z-Level failure. On a similar topic, there are moments in the movie where they try to make the film look washed out, or grainy, and like every other Asylum found-footage movie, they make no effort for it to appear more convincing than an iMovie effect. Take a Drink: for shots of people walking through the woods, an Asylum trademark. Thanks for the review of Alien Origin, Oberst Von Berauscht! This movie should be perfect for the weekly contest I have with some of the members of my team at DISH. 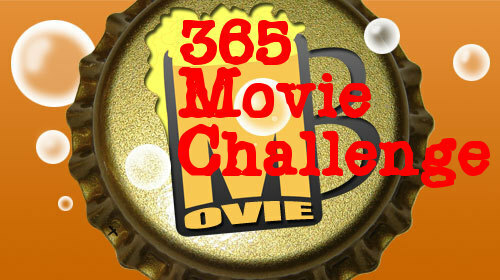 Every week we try to find the worst B movie (or Z movie in this case) that we can find to rent from Blockbuster @Home. I just added Alien Origin to the top of my queue, and I should have it by the end of the week. With the last few “winners” being found footage movies I think I have a pretty good chance. I think the others may have been Asylum films too; there were a lot of shots of people walking in the woods.